There is a trinity of tool, material and instruction which forms the triangle of learning for any new skill or ability. A dynamic balance to these three sides of the triangle promotes stability and facilitates the acquisition of knowledge. We need some of each of these three components, but in what proportion? My experience reveals that it is better to spend less on tools and more on materials. There are several practical reasons for this. First ~ if we have fewer tools and more materials we will be able to make more objects. Second ~ more time invested with fewer tools will enable us to become more skilled and adept with those tools. Third ~ by using fewer tools we will have a more direct experience with the material and will develop familiarity and fluency more expediently. Fourth ~ is the underlying principle of minimalism, which I like to interject wherever I can. Using fewer tools and working as directly as possible with the material provides us with the most aesthetically pleasing experience. It also seems to go hand in hand that simplicity is more effective in design than complication, especially as we get started with anything new. We also need instruction. This could be in the form of a book, magazine, online tutorials, videos, classes, workshops, private lessons, or any combination of these resources. Having been originally a self educated goldsmith, I spent nearly 15 years on my own self-guided trajectory into metalsmithing and jewelry making. When I finally undertook my first formal training I learned more in 5 days of a professional workshop than I had in the previous five years unguided. That realization was a career altering illumination. Radiating that illumination forward, I highly recommend not pursuing the long and arduous circuitous route of being self taught if there is an alternative. The investment in proper instruction is a long lasting and worthwhile one which will take a person much further down the path and enable them to accomplish much more along the way. Having someone with proven expertise in what one wishes to master show how to do something correctly is far better than floundering alone to figure things out on one’s own. Formal instruction also reduces the tendency to acquire bad habits and develop wrong technique which are always much harder to correct than learning proper procedure at the onset. When approaching a new activity a well balanced proportionality between tool, material, and instruction will provide the best foundation for skill development and the evolution of a creative and dynamic body of work. For 40 years I have been creating jewelry and adornments with precious materials. 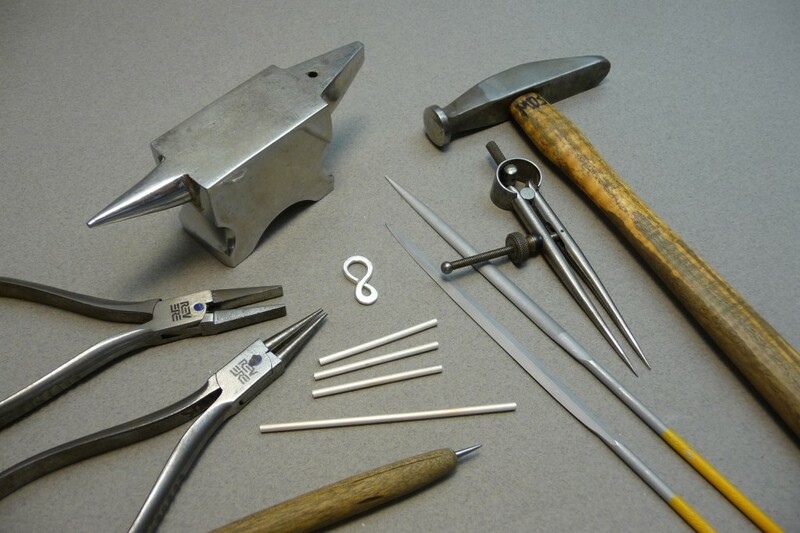 I currently devote my time and energy to teaching applied techniques in the arts of goldsmithing, jewelry making, and professional development for studio artists.